As a fan of Harry Potter since I read the first three books as part of a college literature class, I’ve got expectations. I expect a lot from the items I get to celebrate my interest in Harry Potter to be of a higher quality and fit within specific guidelines that suit my interest. 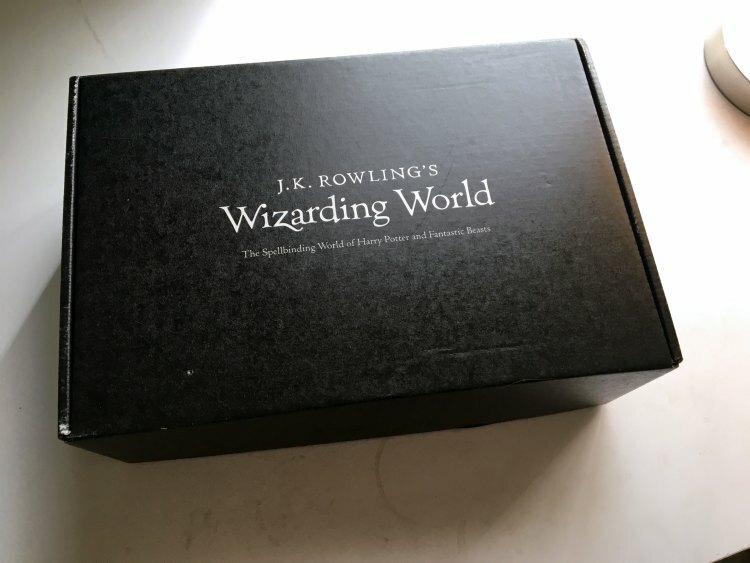 I got the opportunity to go to the Wizarding World of Harry Potter last summer and picked up a few things, but let’s just say I have more on my wishlist than I have in my possession right now. 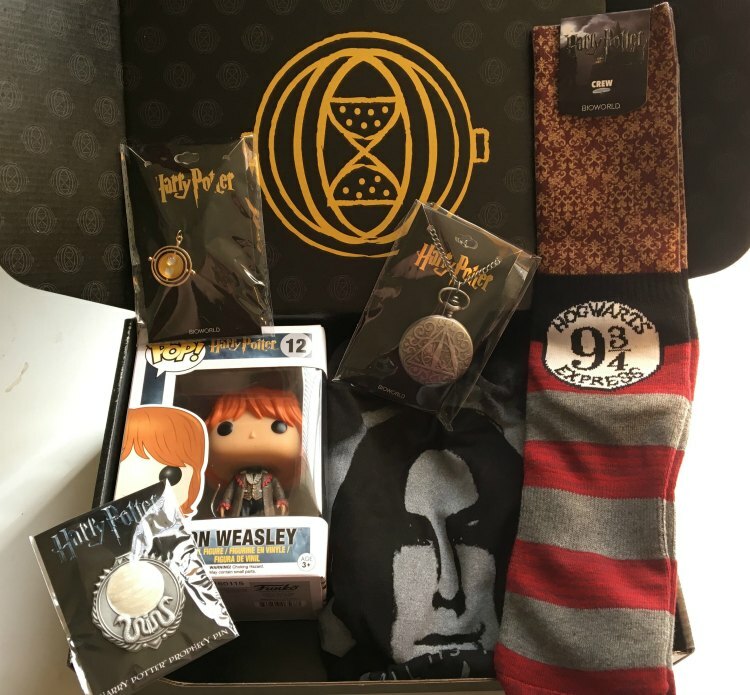 I received an email from Lootcrate in November, talking about the Wizarding World box (the first featured Fantastical Beasts and Where to Find Them, which I have not yet seen). It talked about the second box, to ship in January, that dealt with MOMENTS from the Harry Potter series. Hearing the box was to be called ‘A Matter of Time’, I had a suspicion we’d be getting a time turner and knew it needed to happen. An email from Lootcrate telling me the box was late (and something about not getting clearance for time turners from the Ministry of Magic), I had given up hope. I wanted a time turner… That needed to happen. And, low and behold, my box showed up. I bet it’s bigger on the inside, right? No, wait… That’s the Wrong Fandom. The box looks pretty unassuming. The shipping has this box weighing in at 1.5 pounds, and it’s a little bigger than the last few Lootcrates I had received. Wait a second, this is a Muggle Worthy lock. 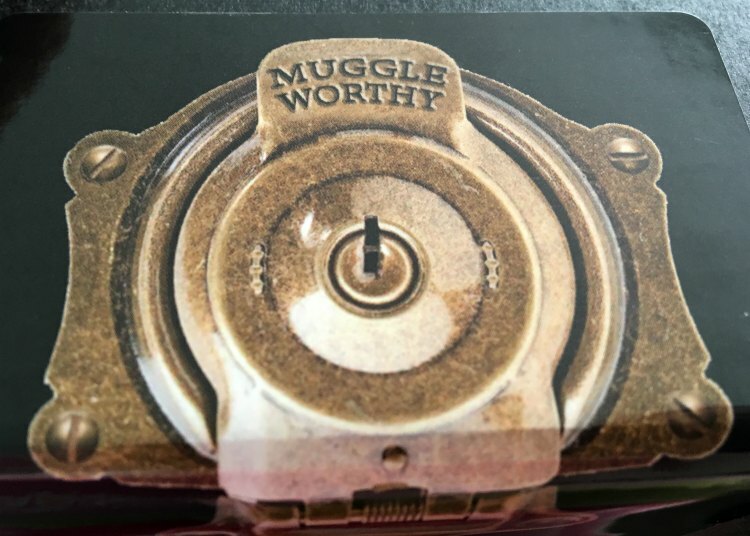 I have a feeling that whomever packed this is under the impression that Muggles can’t just unlock a traditional magic lock. I think they’d be surprised at how crafty when can get when pressed. Okay, there’s a Snape exclusive t-shirt, with a pair of platform 9 and 3/4 socks that are also exclusive. There’s a TIME TURNER and a deathly hallows pocket watch that are also exclusive. And there’s a cool prophecy pin and a Ron Weasley Pop Vinyl. Out of everything, the Pop Vinyl is the only thing I am disappointed in. Value wise, I consider the shirt, socks and pop as free, because of the estimated value of the three packaged items. I’m tempted to get the next box, featuring items of house pride… And there’s a story there. So I’ve gotten sorted into Griffindor and Ravenclaw the same amount of times. The sorting hat doesn’t know what to do with me. And my patronus is an otter, so I either go with my girl Hermione, or I go with my girl Hermione (she was almost in Ravenclaw, but the sorting hat put her in Griffindor) and her type A personality is scarily like mine… I have to think about this briefly, I think. But overall, I enjoyed the box and appreciated the items. It was nice to get a box where I liked almost everything. Sometimes the themed boxes of the regular service tend to miss their mark. If you want to check out Lootcrate, please use my referral code. And then we can exchange notes on the next one! Otherwise, do you have any box subscriptions? Especially literary themed ones? Please share in the comments below.